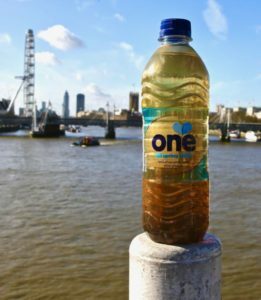 Bottled water brand One Water is trialling alternative packaging to alert UK consumers to the poor water conditions experienced by an estimated 663 million people worldwide. This new water bottle was released to coincide with World Water Day on March 22. 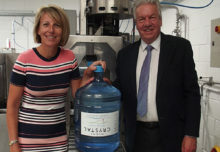 One Water, which pours its profits into clean water projects around the globe, has developed a sleeve for its bottles to make the clean Welsh spring water they contain look dirty. 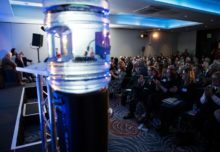 One Water is on target to raise £20 million for water projects by 2020 and by Summer 2017 will have raised £15m. One Water is available from Starbucks locations nationwide, World Duty Free stores in airports across the UK, on Virgin Atlantic flights worldwide and from a range of small retailers and wholesalers in the UK. The brand was launched in 2005 as the official water partner for Live 8, Make Poverty History. 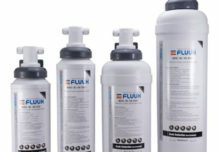 Trial versions of the new bottles are being market tested and Mr Goose hopes that through the project the company will secure a major listing with a leading supermarket. 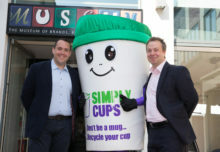 He added: “It seems counter-intuitive to be trying to sell a bottle of water that looks dirty, but we think it’s a useful moment of reflection in our busy days and an opportunity to support a business that pours its profits into clean water for everyone rather than into the bank accounts of corporations.